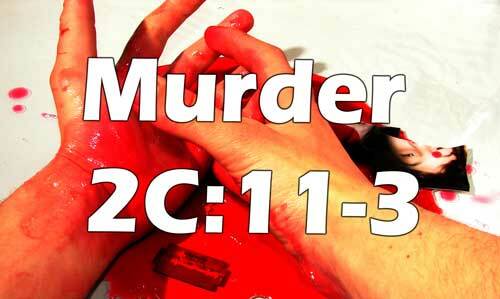 NJ Murder Defense Lawyer – 2C:11-3. Facing criminal charges is a terrifying ordeal. This is particularly true if you have been accused of an assault and threat crime like murder. Homicide is the most serious charge you can face under the NJ Criminal Code. If you are convicted of homicide (murder) in New Jersey, you are looking at a minimum of 30 years in state prison; in the worst case scenario, you could be sentenced to life imprisonment. The Tormey Law Firm is prepared to challenge the evidence against you and fight your murder charges. Travis J. Tormey founded the firm with one idea in mind: to protect the legal rights of criminal defendants in Montclair, Livingston, and everywhere else in Essex County, NJ. That’s why Mr. Tormey focuses his entire practice on criminal defense, with a particular emphasis on representing clients accused of assault and threat crimes such as aggravated assault and murder. His team of lawyers includes a former municipal and county prosecutor who is able to identify weaknesses in the prosecution’s case against you. For a free consultation with a Newark NJ murder defense lawyer, contact us directly at 201-556-1570. Call us today at 201-654-3464 to discuss your case and explore your legal options. Homicide or murder is classified as a first degree felony in New Jersey. Although first degree crimes are ordinarily punishable by a sentence of between 10 and 20 years in NJ State Prison, the NJ Criminal Code treats murder differently; if you are convicted of murder, you will face a minimum sentence of 30 years behind bars, with the possibility of life imprisonment. That means you will have to serve at least 30 years before you are even eligible for parole if you are convicted of murder in NJ. If you or a loved one has been accused of murder, it is imperative that you act quickly. Every second that goes by without contacting a lawyer is a wasted opportunity to begin your defense. Call the Tormey Law Firm today at 201-654-3464, or email us to schedule a free consultation at our office in Newark, NJ. One of our experienced homicide lawyers will speak with you about the case and walk you through your options.